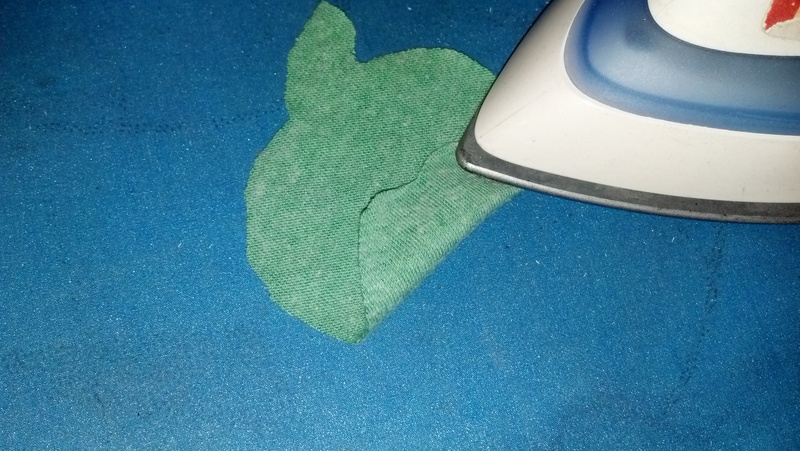 I keep using my t-shirt to wipe my cell phone screen and clean my glasses, so I decided to use my t-shirt scraps (those left over from cutting up t-shirts for pillows and underwear) to create some special little screen cleaners. My first idea was an apple cleaner, but I am much happier with the finished product of my piggy cleaner and both of the kids have already put in an order for one! 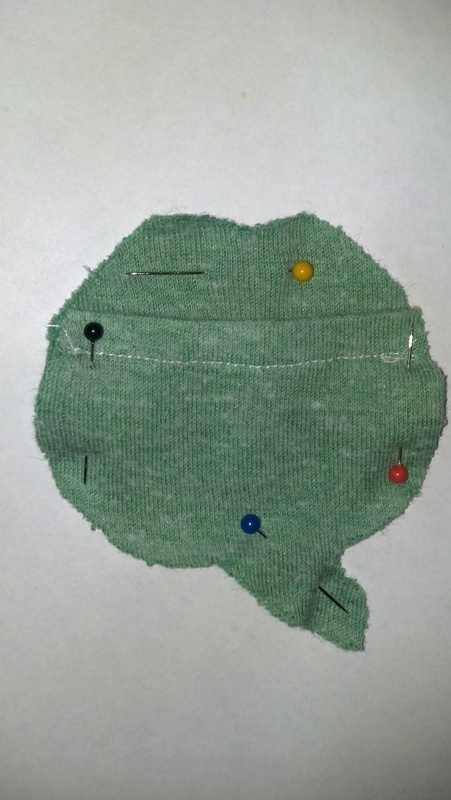 The only materials needed are old t-shirt bits a bit of ribbon and a sewing machine or needle and thread. Step one: find a shape that you like. 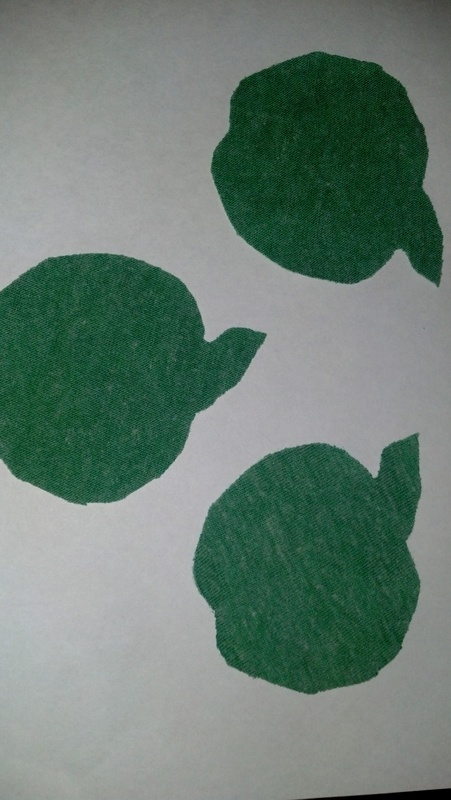 Step two: cut out three shapes. Two identical and one mirror image. 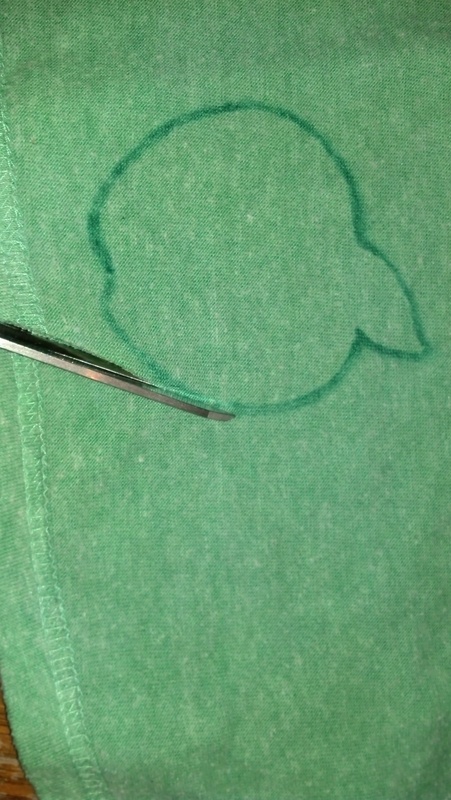 Step three: take one of the identical shapes and hem one edge. 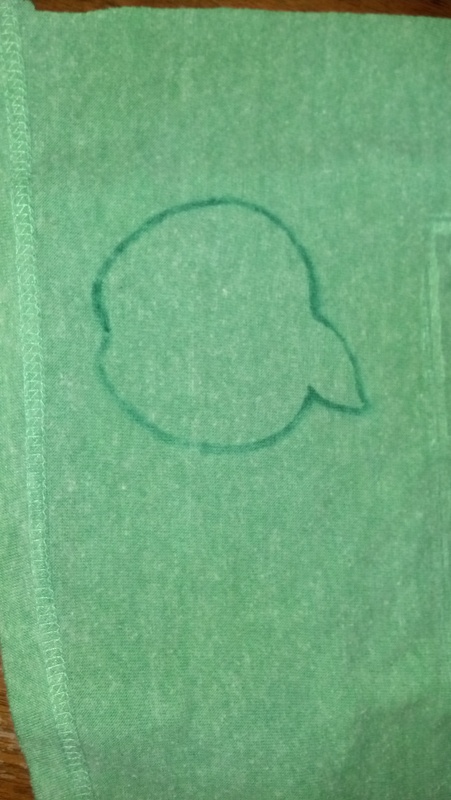 This will be the pocket that you will put your fingers into. 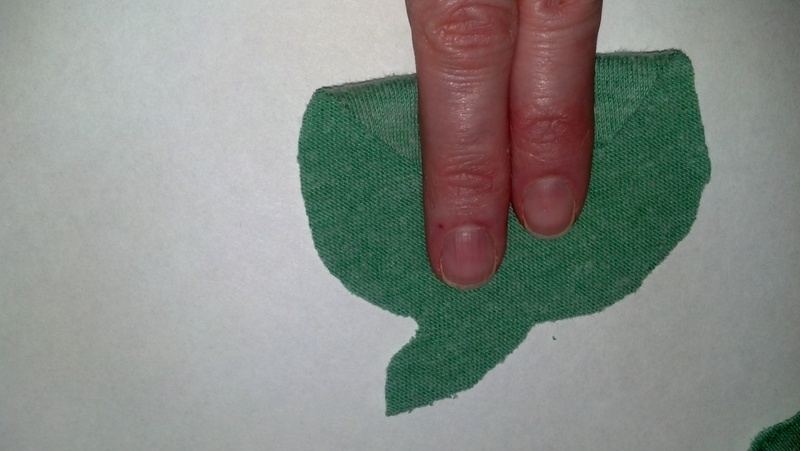 Step four: Align the three shapes, then sew. I chose to put the wrong sides together and simply do a zigzag stitch around the outside, rather than the traditional way of sewing wrong sides together and then turning right side out so that no stitches show. 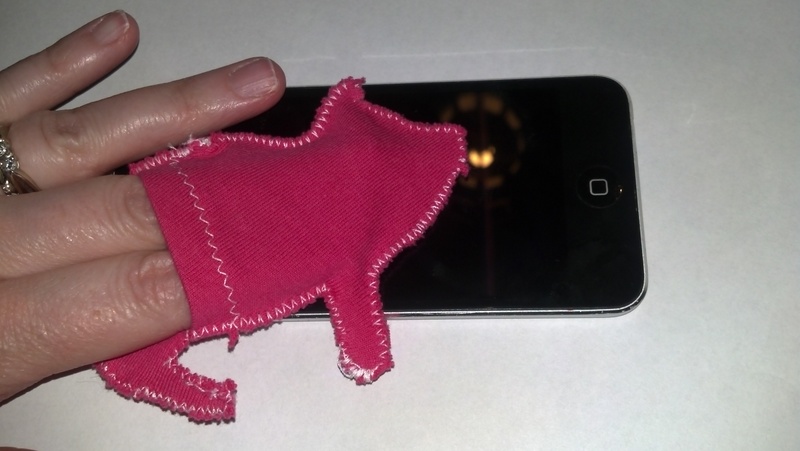 I also put a little ribbon loop on the screen cleaners, as I am thinking about attaching one to my phone.